Not all Nail guns qualify as a professional or contractor’s trusted companion. There are a few in the market you can call as a contractor’s dream. 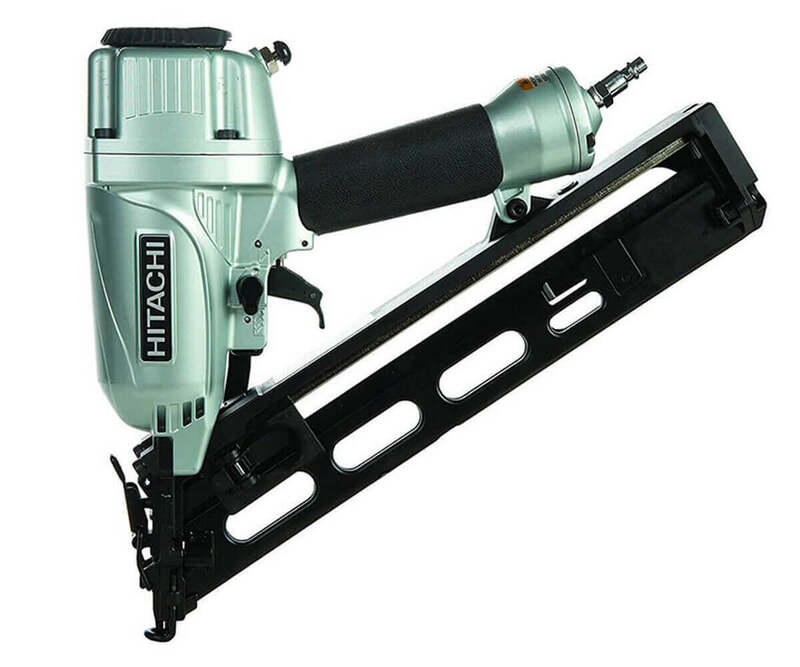 A nail gun that can be used on any surface and with great reliability are not cheap enough so professional contractors need be very careful of what they are choosing. 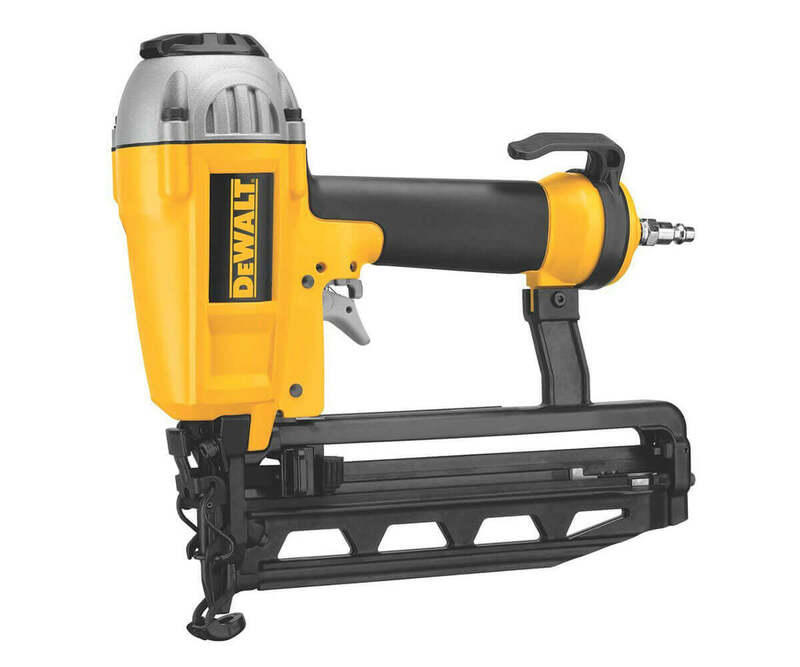 Now, a single nailgun can do a lot of things, but a combo kit is just phenomenal to do whatever fixing, repairs and build-ups one need! 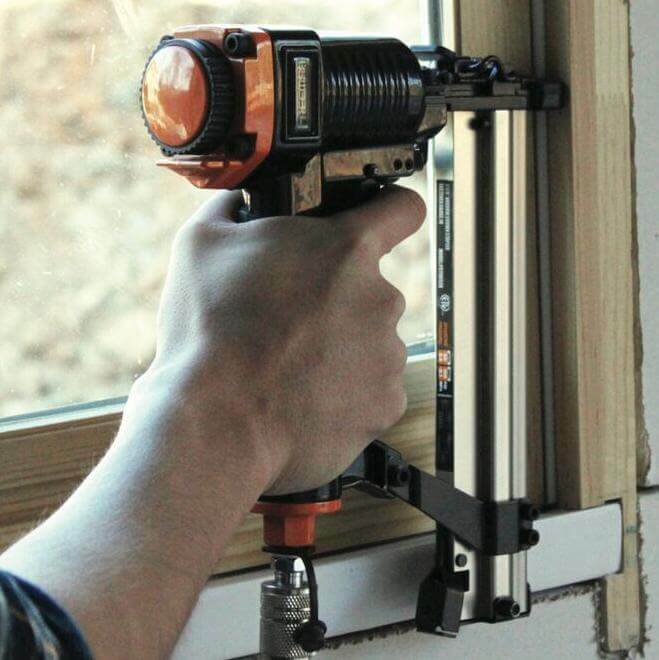 Freeman P4FRFNCB Framing/Finishing Combo Kit is known as a contractor’s dream. 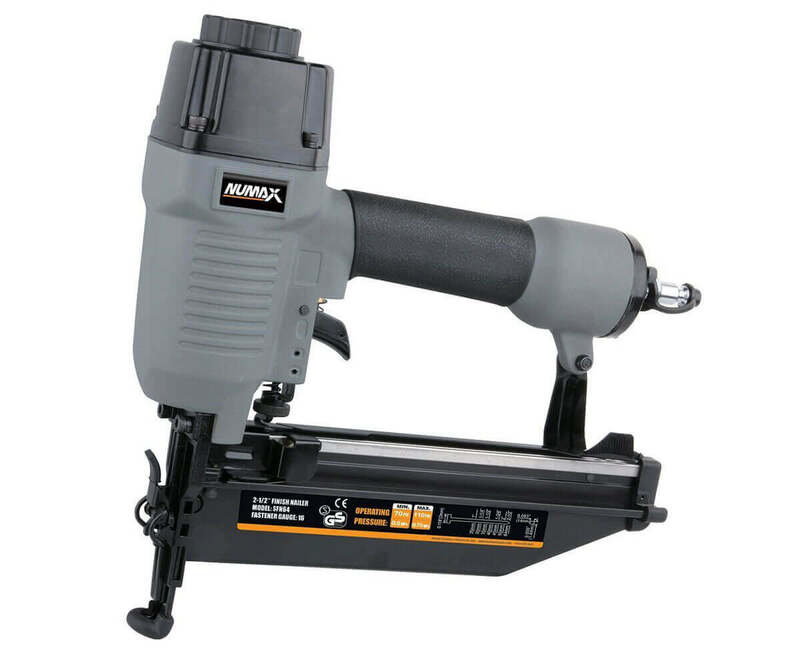 The kit comes with four amazing tools PFR2190 21-Degree 3-1/2-Inch Framing Nailer, PFN1564- 15 Gauge 34° Angle Finish Nailer, PBR32Q- 18 Gauge 1-1/4-Inch brad nailer with quick release nose and PST9032Q- 18 Gauge 1-1/4″ Narrow Crown Stapler with quick release nose. The combo covers all of your framing and finishing needs. 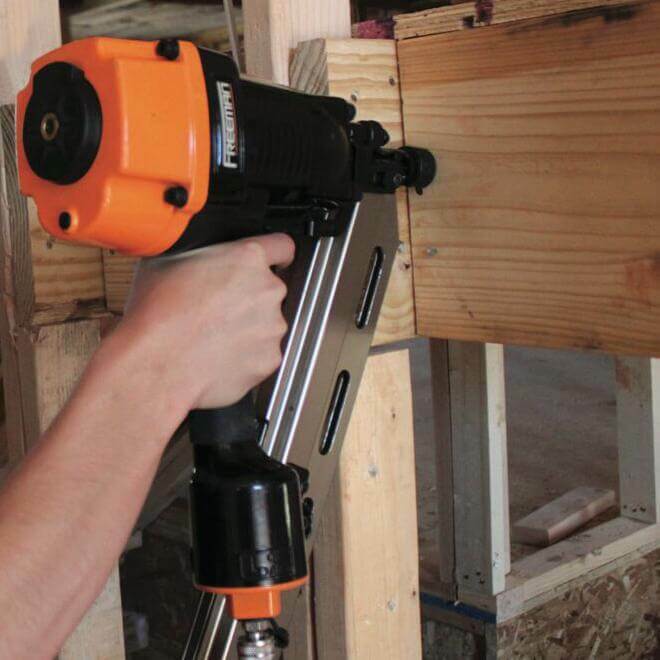 The framing nailer is great for subfloors, roof, decking, basement, molding, remodeling, fencing – you name it! Freeman P4FRFNCB Framing/Finishing Combo Kit comes with a seven years warranty – A great commitment and back up from the manufacturer. Adjustable depth for various applications. Air filter/anti-dust cap allows keeping interior components clean and increase tool life. 360-Degree adjustable exhaust to clean surfaces and remove dust. Anti-dry fire mechanism reduces damage and increases tool life. 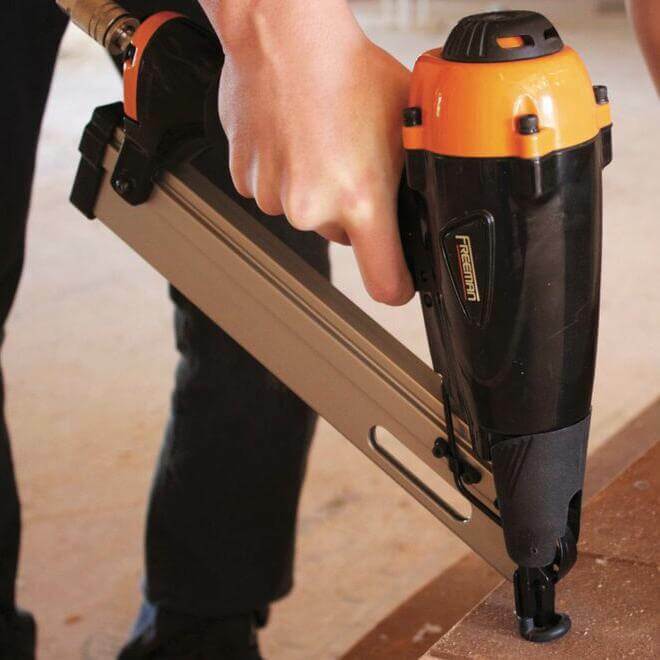 Magnesium construction lightweight tool and great for comfortable use. Air filter/anti-dust cap keeps interior components debris free, extending tool life. 360-Degree adjustable exhaust allows the user to direct air away from debris. No-mar tip eliminates damage to working surfaces. Dual-mode trigger easily allows for single or sequential firing. Price is the biggest advantage while buying this combo kit. The whole kit cost only $183 while buying separately might cost $300+. The framing nailer is amazing and with very good quality. It uses 21-degree nails up to 3 1/2 inches. Depths are adjustable. 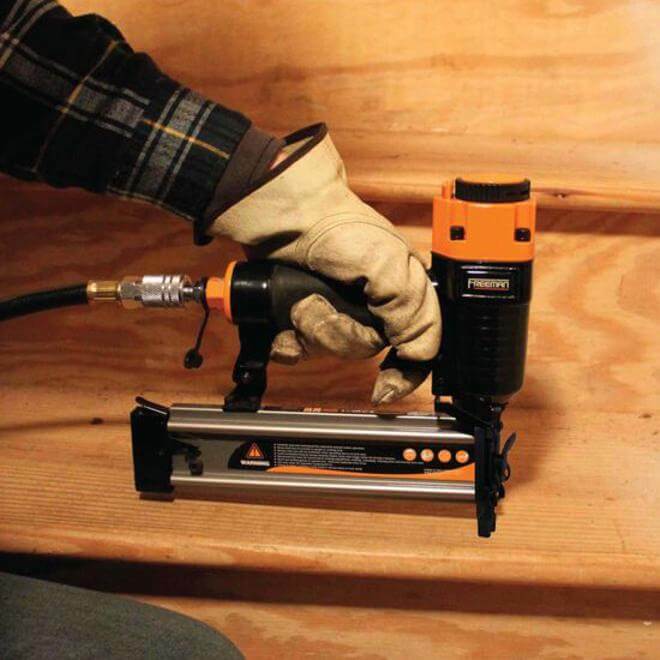 The finishing nailer also has rubber tips and fires well. It takes 15 gauge up to 2 1/2 inch. The finish stapler with rubber tip is great quality as well. The brad nailer is a very good quality one and fires amazingly. Though the company follow a strict quality guideline, it jams sometimes. The gun blew apart sometimes as well, and some users don’t find it comfortable. Some users complained about the quality and said it’s not top notch as other premium brands. 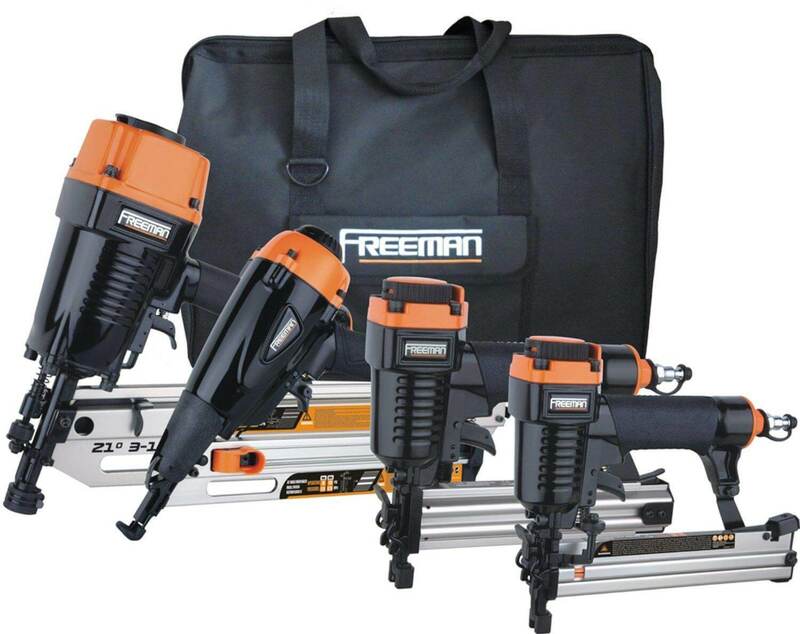 Freeman P4FRFNCB combo kit is a contractor’s dream. 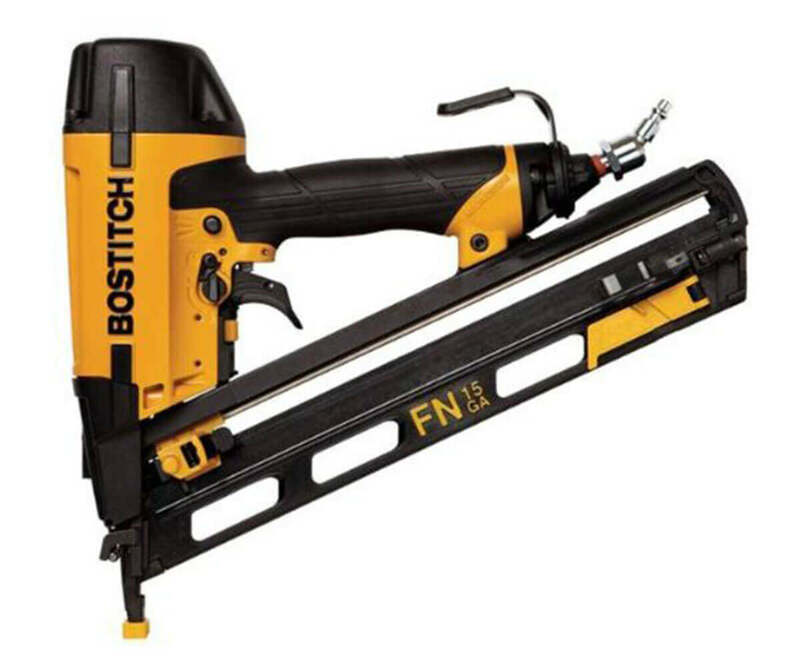 The whole package allows you to get the complete nail gun set for an excellent price of $183. The retail price of these tools goes to $300+. The customer reviews are great on Amazon as well and its one of the highly rated. Our website may contain links to affiliate websites, and we receive an affiliate commission for any purchase made by you on the affiliate website using such links. But all links are not the affiliate links but have some. We are the participant in the Amazon Service LLC Associate Program, an affiliate program designed to provide a means for us to earn advertising fees by linking to Amazon.com and affiliated website. © nailgunguide.com - 2018. All rights reserved.